12/03/19An extremely international new line-up for the Endurance Cup! 08/03/19Nico BASTIAN and Thomas NEUBAUER, Team AKKA-ASPs sprinters! 05/03/19French GT Championship - The AKKA-ASP line-up! 02/03/19French GT Championship - Aurélien PANIS & Fabien BARTHEZ with the MATMUT & AKKA Technologies. 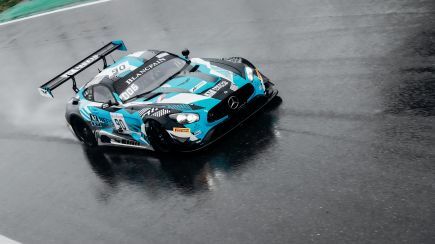 26/02/19Blancpain GT Series: Three musketeers for two championships in Pro-Am! 23/02/19Vincent ABRIL joins Team AKKA-ASP (and MARCIELLO and MEADOWS aboard #88)! 29/12/18ECHAPPEMENT janvier 2019 - Le Team AKKA-ASP aux avant-postes ! 16/12/18ABU DHABI GULF 12 HOURS : LAST PODIUM FOR 2018 !